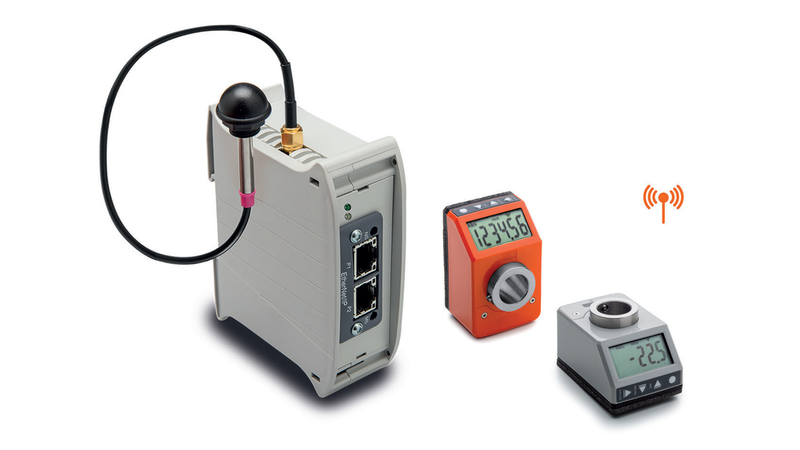 Elesa introduces the new position indicator DD52R-E-RF. The new wireless spindle positioning system, designed for an efficient manual spindle positioning, consists of UC-RF control unit and, up to 36 electronic position indicators DD52R-E-RF (Elesa Patent). Most often, machine setup is performed manually by means of traditional mechanical indicators coupled with handwheels or crank handles, following a specific list of set-up parameters. The new electronic position indicators DD52R-E-RF are networked to UCRF control unit via radio frequency (RF). This system is particularly suitable for applications that require frequent format changes, facilitating the correct adjustment of the target/current position of the machine parts, also representing a safety system. PLC doesn&apos;t allow the machine to start the production cycle, thus avoiding production issues. The installation of the system is quick and easy as it does not require any use of connecting cables between the control unit and the indicators. Thanks to the available functions and to the programmable parameters, one item only can be used for many applications including all shaft pitch variations, direction of rotation and unit of measure.